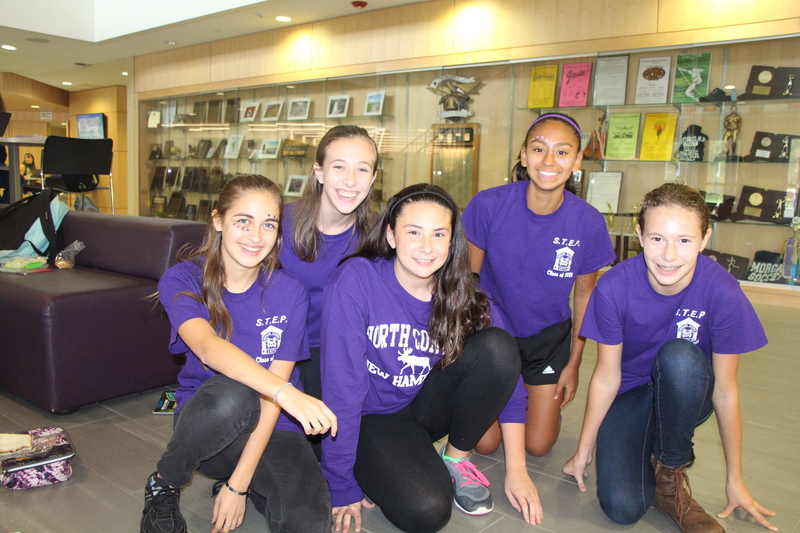 During Spirit Week, many students noticed the lack of school spirit here at Morgan. There seemed to be a noticeably lower amount of participation this year compared to years past. Senior Georgia Nye described Morgan’s school spirit: “it’s not as good as it should be.” Georgia also thinks that school spirit was better in the old Morgan than it is in the new Morgan. Junior Sean Fitzgerald agreed stating, ” School spirit was better freshman year. People tried to hype things up more”. Sophomores and Freshmen did not experience the old Morgan but still agree that our school spirit is sub-par. Sophomore Alena Curtis said that as a freshman she was expecting there to be more school spirit here at Morgan. Alena said she shows her school spirit through participating in spirit week and going to as many sporting events and activities as possible. Social Studies teacher and Morgan graduate Chris Zawadski, thinks that school spirit now is actually better than it was when he was a student: “A lot more kids go to games now, and everyone is always wearing some kind of Morgan shirt or sweatshirt”. Business teacher Ryan Richetelli who is also a Morgan alum thinks that our school spirit is about the same as it was when he was a student. Mr. Richetelli said, “I think we need better marketing for events, like in the old school there would be posters all over the lunch room”. He also reminisced about his favorite school spirit memories which included homecoming float building and the parade. not participating because everything is more fun when everyone is involved. Principal Keri Hagness agrees that this year our participation is not as good as it has been. In order to improve our school spirit, she said, “It really has to come from the students. I’ll support anything they want to happen; I can come up with ideas, but they are not always going to work”. Student Council adviser Spanish teacher Laura Luther works with the student council reps to formulate the ideas and events for Spirit Week each year. Many students have complained about certain themes for the days of Spirit week. Mrs. Luther encourages anyone to attend Student Council meetings as they are open to all students. If you would like to see a change in Spirit Week, make sure to attend these meetings and share your ideas.Whether it be going to games or participating in Spirit Week, everyone should try their best to represent Morgan and show their school spirit. The student section at the Class S Boys Soccer State Championship. A big concern among students is the lack of attendance at sporting events; however, the students have proven that they can all join together in support of our teams. On November 18th, the Morgan Boys Soccer team played in the Class S State Championship at Municipal Stadium in Waterbury, CT. I, as well as about 50 Morgan students, made the hour-long drive to support the soccer team and cheer the players on to their victory. This was our best display of attendance at a sporting event thus far in the 2017/2018 school year so if we, as students, can make this effort to support all of our teams here at Morgan then our school spirit is sure to sky-rocket.